David Marsden was one of the leading neuroscientists of his time and one of the profession’s most charismatic personalities. He undoubtedly influenced many of his colleagues and large numbers of younger clinicians and researchers from across the world, to become interested in dystonia and movement disorders generally. Research fellows from more than 20 countries, many of whom are now leaders in the field of movement disorders, were attracted to work with him. He was the most frequently- cited neuroscientist of his era, and one of the 10 most commonly-cited biomedical scientists in the world. 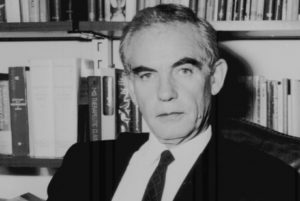 His publications totalled over 1100, including more than 800 original papers. He helped to establish the subspecialty of neurological movement disorders and was President of the Movement Disorder Society and co-editor of its journal. He was editor of the Journal of Neurology, Neurosurgery and Psychiatry, on the editorial boards of 21 other journals, held 40 visiting professorships, and was a member of the councils of several important UK medical and research bodies. As one of the principal neurologists of the 20th century who reassessed the then poorly-understood field of movement disorders, he recognised that writer’s cramp and torticollis were organic diseases of the central nervous system. This changed the then existing view that they were psychological conditions, and confirmed that they were part of a much larger group of disorders that became known as the dystonias. He was prominent in the work which established a centre in London to store the brains of deceased movement disorder patients, to be made available for research around the world. This is now the UK Parkinson’s Disease Society Brain Bank and another facility, known as the Queen Square Brain Bank, stores brain tissue for broader research in neurology, including dystonia. As a clinician, Prof Marsden was able to recognise, often in difficult circumstances, the real needs of the patient, and to understand that these might change over time. His personality and abilities quietly commanded respect but he was a man of exemplary courtesy who was held in the highest regard by his own patients, many of whom had been referred to him from around the world. His unique clarity of vision, and his ability to combine clinical and scientific skills, brought the study of movement disorders to the forefront of clinical neurology and, in 1986, he c0-founded the tremendously successful Movement Disorders Society with his friend and collaborator Dr Stanley Fahn and others. Following the founding in 1993 of Dystonia Europe (at that time known as the European Dystonia Federation), Prof Marsden gave welcome advice and support until his untimely death in 1998. He was the pre-eminent scientist in Europe with a deep interest in dystonia, and his huge influence on advances in its diagnosis and treatment is undisputed. Dystonia Europe established the David Marsden Award in 2003, to acknowledge his work on the dystonias, and to honour the immense part he played in improving the lives of so many people who live with the condition.